Provides secure private DNS. You can have your own authoritative DNS servers in VPCs to improve resolution efficiency, lower network latency, and prevent DNS spoofing.  Offers a new generation of efficient and stable resolution services, enabling tens of millions of concurrent queries on a single node. Maps IP addresses to domain names, ensuring credibility of emails sent from your email servers. Defends services against various DDoS attacks with Huawei's powerful anti-DDoS devices and extensive experience in security protections. The DNS service enables visitors to access your service resources, such as ECS, OBS, and ELB using domain names. Create public and private zones for the same domain names to deploy your website both online and offline with the same code, facilitating service maintenance. Deploy the same services online and offline. Offline changes can be seamlessly updated to the online system. Test the offline service in a VPC without interrupting online applications. Map private domain names to ECS IP addresses in specified VPCs, allowing these ECSs to communicate with each other using domain names. If an ECS becomes faulty, you only need to change its IP address in the DNS records, instead of modifying existing configurations. Private domain names are not exposed to the Internet so you do not need to worry about DNS spoofing and attacks. A private DNS server directly responds to requests for private domain names, greatly reducing network latency. Customize any domain names in VPCs. Associate one DNS zone with multiple VPCs to simplify service deployment and management. Create PTR records for private ECS IP addresses. Receive responses directly from an internal DNS server for private domain requests (for example, to access ECSs in VPCs and services like OBS), accelerating domain resolution and preventing DNS spoofing. What Are the Private DNS Server Addresses Provided by HUAWEI CLOUD DNS? Send HTTP/HTTPS requests to call APIs for flexible management of DNS zones and records. Select endpoints based on the regions where services are deployed.